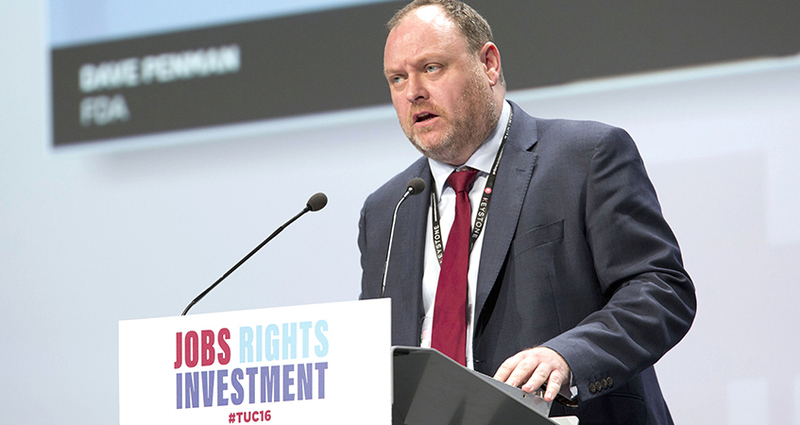 With the pay cap finally being lifted, the FDA will be pressing ministers to ensure civil servants don’t get left behind, says General Secretary Dave Penman. Ministers have been true to their word – not a phrase you hear often – and lifted the public sector pay cap. In the NHS, unions (including MiP) are consulting members on an offer that will see rises of around 6.5% over three years, plus restructuring of some pay bands and, of course, pay progression – long gone from most civil service pay systems. Local government employers have offered around 5.6% over two years, with significantly higher rises for the lowest-paid. In Scotland, meanwhile, the Government has published its pay policy, which will see most public servants receiving 2-3% depending on their salary level, though the highest paid will get lower increases. In each sector, union members will have to decide whether, after nearly a decade of pay restraint, this amounts to enough of a shift to merit accepting, but it does represent progress from an arbitrary cap that caused real pain across the public sector. Our online pay calculator (FDAFairPay.co.uk) will give you an idea of how far your pay has fallen behind in real terms. We will soon learn how the Treasury plans to implement the lifting of the cap for the civil service and, of course, we eagerly await the recommendations from the Senior Salaries Review Body for the SCS. We have raised directly with the Cabinet Office minister our concerns that, too often, the civil service has been the poor relation in public sector pay terms. Ministers and the Treasury can exert more direct control on pay in the civil service than elsewhere in the public sector. Our message to Government is that you cannot pick and choose your favourite public servants. Jeremy Hunt made much of his special pleading for the NHS – but what about his civil servants in the Department of Health, without whom the NHS could not function? Delivering justice for victims of crime requires prosecutors as much as bobbies on the beat, and schools and roads can only be built if HMRC collect tax and pursue evaders. The future of our economy will depend on the Brexit deal currently being negotiated by civil servants, and our ability to fund that precious NHS will rely on trade deals yet to be negotiated – again by civil servants. Frontline or back office, civil service, teaching, local government or NHS – public services can only be delivered by the cooperation and dedication of a plethora of inter-related public servants. Ministers in each department, and collectively as government, need to ensure that the civil service isn’t at the end of a queue this summer when it comes to lifting the pay cap. This will be a crucial year for civil service pay. Expectations are running high, given the offers elsewhere and sweeping statements from ministers. If the Treasury shows some flexibility in its remit guidance – the document that sets out pay policy for the coming year, which is expected to be published later this month – then departments must show that they are determined to jump through the many hoops that will be required to secure additional funding. We are already pressing civil service employers on this point and negotiations have already begun in some departments. As ever, the FDA will be a strong, pragmatic negotiator on behalf of members; never afraid to recommend agreement if it’s in our members’ interest, but equally unafraid to challenge if we feel there is more to be had. Whatever this summer’s negotiations bring, it will be one of the toughest for the union in years. Our commitment, as ever, is to be honest with you and deliver the best outcome possible.